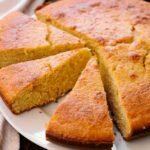 The Best Cornbread Recipe - What's In The Pan? 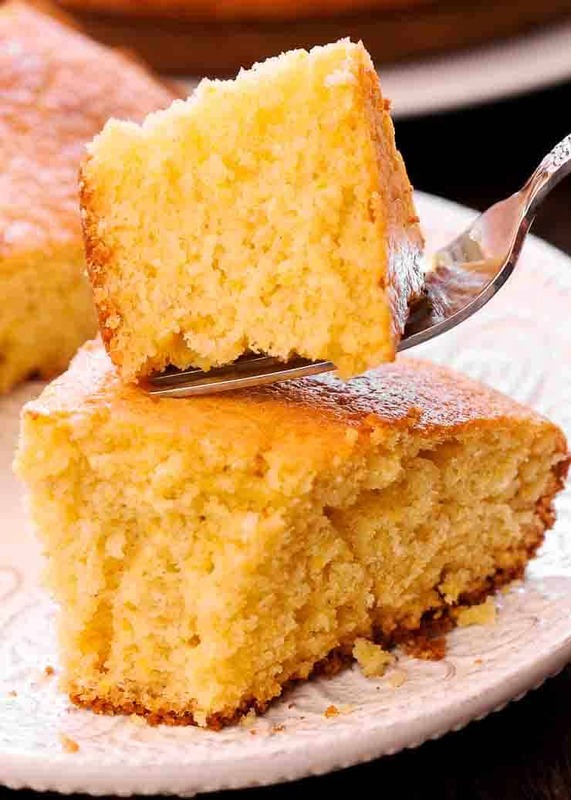 The Best Cornbread Recipe is a classic favorite the whole family will love! 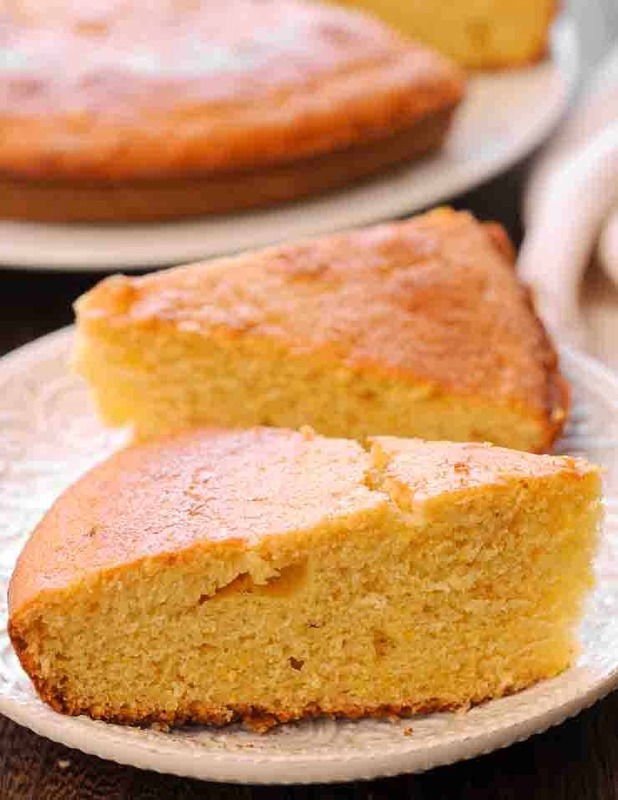 The moist cornbread with honey, butter and milk. 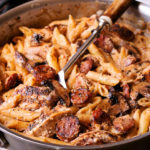 You can easily make it today in your cast iron pan! Ready to make the best cornbread recipe? Don’t ever think of using a boxed recipe. Because the homemade corn bread recipe is just as easy. Besides, it’s better tasting and lower in fat. Use it for a Thanksgiving gathering, Christmas, or just for every day. By the way, I have made this cornbread recipe many times. And each time people wanted the recipe. By the time your oven preheats, you already mixed your ingredients and are ready to place it in the oven! You are definitely in for a treat! This Moist Cornbread is the first cornbread that I ever made many years ago. It became a staple in our family and I looked forward to it so much on weekends and holiday’s! Now, this year I make it almost monthly. Because I can simply reheat it for an easy no-fuss breakfast or snack! I love to eat it with maple butter on it. My husbands loves it with peanut butter! I also prefer to make it in my cast iron pan. Not only because we love our cast iron, but also because you get better results! 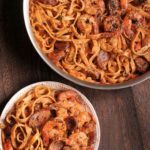 Cast iron conducts heat so well that you don’t have to do much at all. This bread is very moist. Honey will give a nice flavor. It stores well in the fridge. Your guests will ask for a recipe. You will want to make it again. I recommend making this cornbread in the 8 inch cast iron pan. You can also make it in a 9-inch round cake pan. Or, use a square baking dish. You can also make muffins out of this recipe. All you need to do is adjust baking time to 15 minutes. Use yellow cornmeal in this recipe. White works fine, but it just doesn’t look the same. 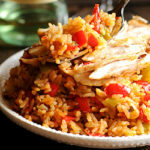 You can double this recipe easily. It will last for a good 5 days in the refrigerator. I usually cut it up and divide it between two zip lock bags. Then I can easily grab a piece of bread whenever I want. 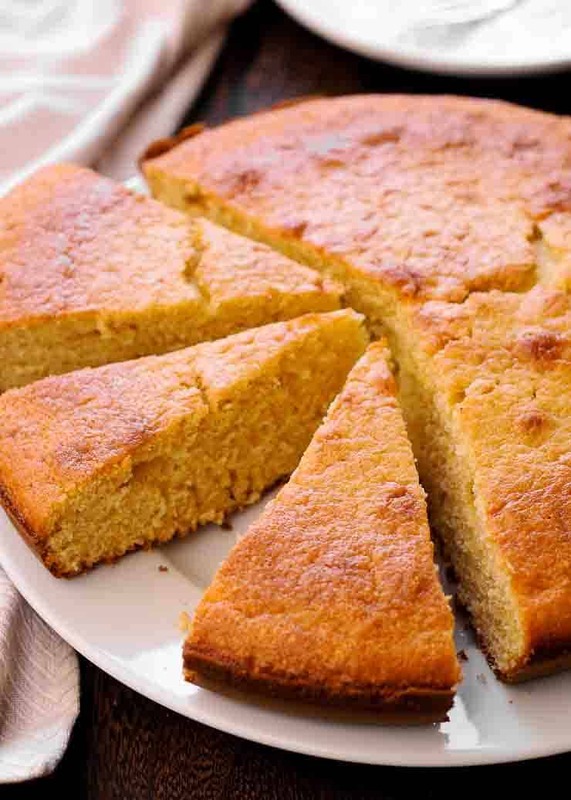 If you like sweet and moist cornbread, this is the best cornbread recipe for you! Would you like more breads to try? Honey Moist Cornbread is sweet and tender! Next, add the oil, melted butter, honey, eggs, and milk. Pour everything into a greased 8-inch square pan. This recipe is excellent. Made it for my family and by the time it came out of the oven, it was all gone. Really enjoyed this review because my family loves this bread. We make it often. Would this pair well with chili, or is it too sweet? Used this recipe for my first time making corn bread! 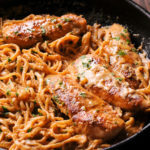 Super easy and very tasty. I used a 9×13″ pan instead of an 8×8″ pan, but the cooking time was reduced to 20-25 minutes vs 35 minutes but it a nice density. I made it to pair with a white chicken chili and both were so good!! MiKayla – thank you for your detailed review! We just made it again yesterday too.